We’ve got our three main concerts outside of Portland scheduled – and will be working on the Portland area concerts soon – but we thought you’d like to know what we’re going to be playing next season. We’re very excited about what is in store! On November 2nd, we’ll return to the Salem Public Library auditorium for the Camerata Musica series, and we’ll be bringing three quartets from the height of the Classical period. We’ll be playing a quartet each by Mozart, Beethoven, and Schubert. January 30th finds us in Tacoma, Washington, where we’ll make our first appearance on the Second City Chamber Series’ Masterpiece Series. It’s an all-American concert, with Barber’s String Quartet, Op. 11, Kenji Bunch’s Second Quartet “Concussion Theory”, and Daniel Ott’s Second Quartet. Daniel has been a friend to the quartet for years, and hails from Puyallup, Washington. 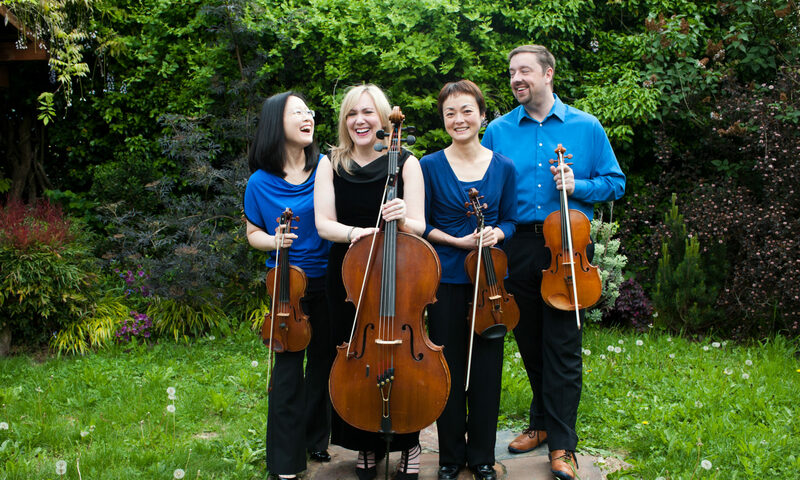 His First Quartet met with much acclaim during the first March Music Moderne concert, and his Second Quartet is if anything even more impressive! Previous PostPrevious Another season in the books!